Imagine you’ve been working in your career for decades. Then, when you turn 65-years-old, you’re suddenly given a retirement party by your company and a plaque commemorating the work that you’ve done, and you are abruptly shown the door. Making the transition from working one day to being a full-fledged retiree can be a difficult change for anyone, particularly those who are used to working full-time. That’s why many older workers are welcoming the idea of phased retirement. Here’s what you need to know about phased retirement to see if it could potentially be a good option for you. Phased retirement sounds kind of like what it is. Instead of an abrupt end to your work life (and career), phased retirement is a slower process to retiring. It usually begins by a decrease in the number of hours you work. You may have a reduced workload as you start passing off some of your responsibilities to other employees. Flexible work plays an important role in phased retirement. 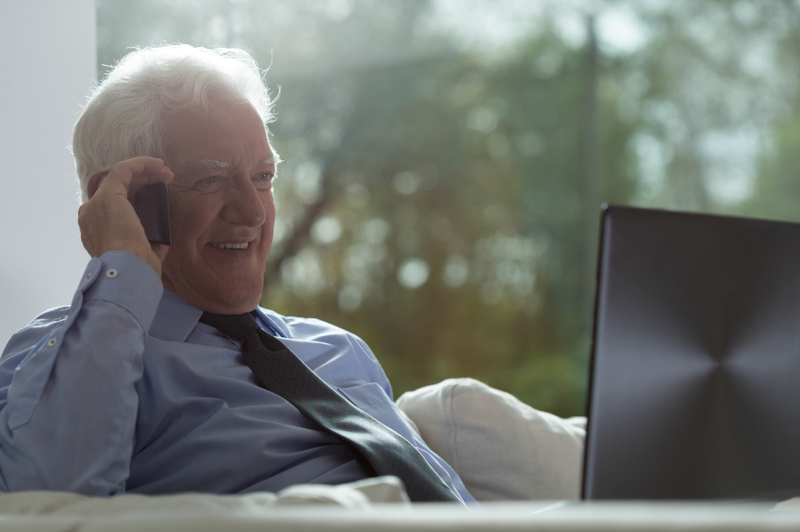 Many older workers might make the decision to start working from home more as they begin their pre-retirement phase. Others might begin a job share, in which the older worker would then share part of his duties with another worker, either someone already employed in the company or a new hire. Another option is to work as a contractor or freelancer for the company until your retirement date. If retirement has always followed a traditional format where one day you work and then next day you’re retired, why would companies opt to implement a phased retirement plan for its workers? Well, offering phased retirement holds many advantages for an organization. For starters, having an older worker slowly phase out of his job means that a company can hang onto one of its qualified workers longer and utilize his skills and knowledge. Another benefit is that as a part of phased retirement, a company might ask that the retiree train his replacement. Not only would this allow the new worker to gain invaluable insight and one-on-one training for the job (plus an easier transition once the worker retires), but it means that there won’t be a dip in productivity felt by the company, either. As for an older worker who is on the cusp of retirement, a slower retirement makes for an easier transition mentally to this new phase of life. Plus, workers who might have experienced an abrupt end to their jobs (and a steady paycheck) can continue working and still maintain a salary, something they wouldn’t be able to do if they were to retire. A phased retirement is an option that some companies are offering to their older workers. If you are considering retirement, you might want to speak with your company’s HR to find out its policy on phased retirement and decide if it’s an option for you.